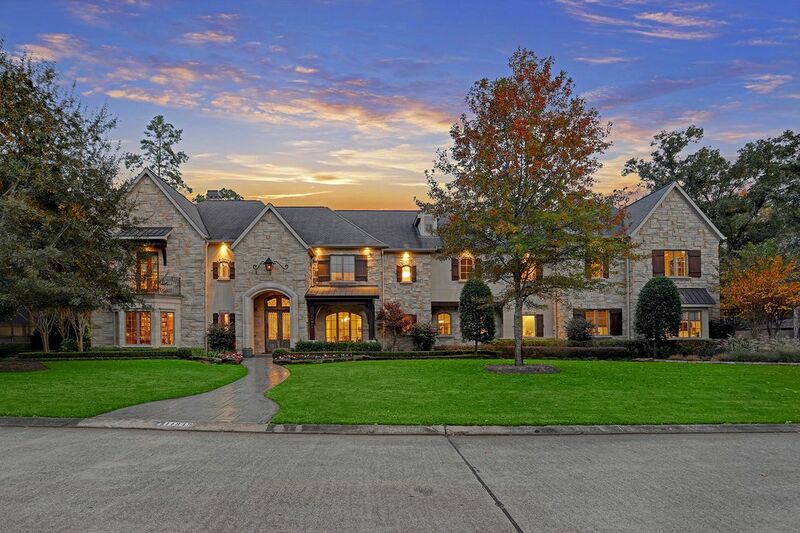 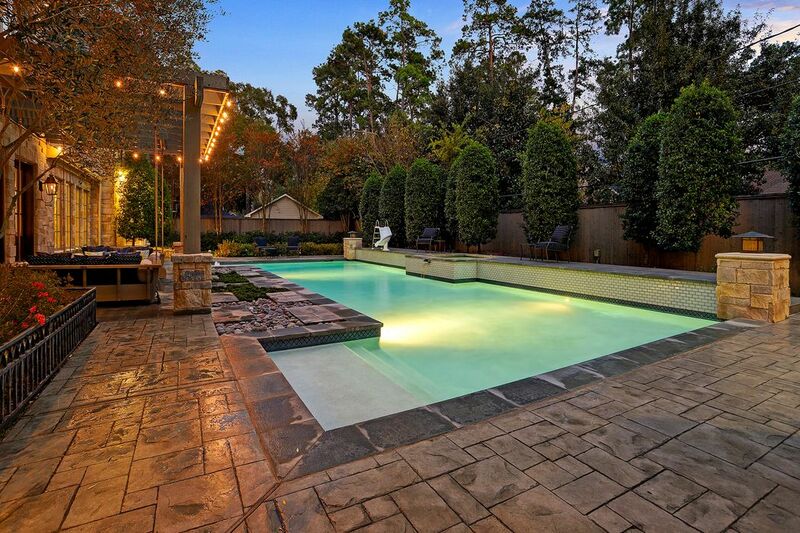 11849 Wink Rd, Houston, TX 77024 | Martha Turner Sotheby's International Realty, Inc. 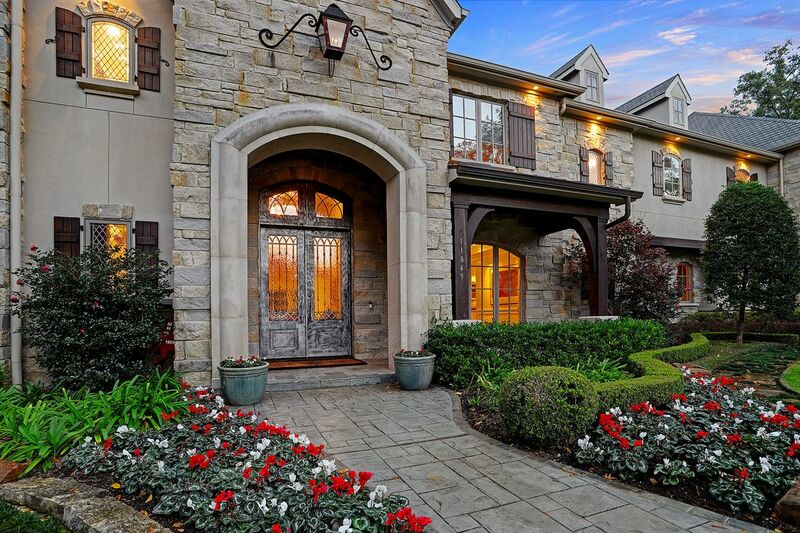 Entrance - custom stone exterior, covered front porch with arched stone surround and gas lantern. 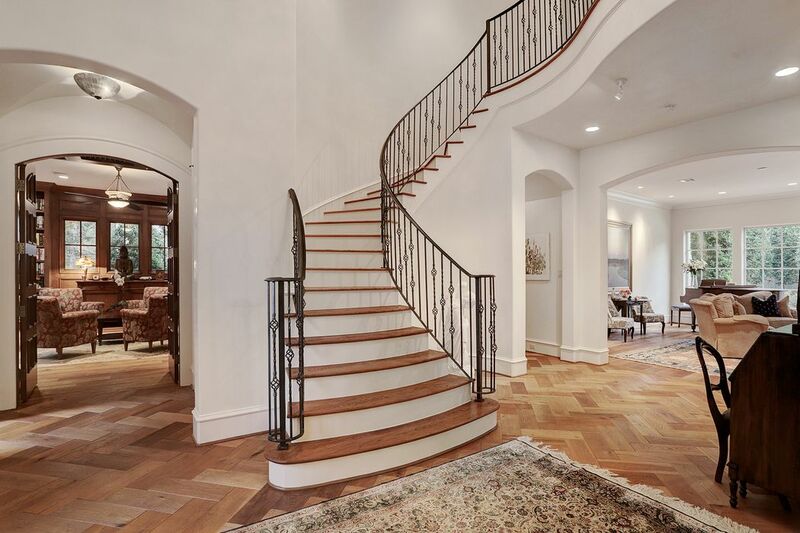 Foyer - double height ceiling, sweeping wrought iron staircase, vestibule to powder room and study. 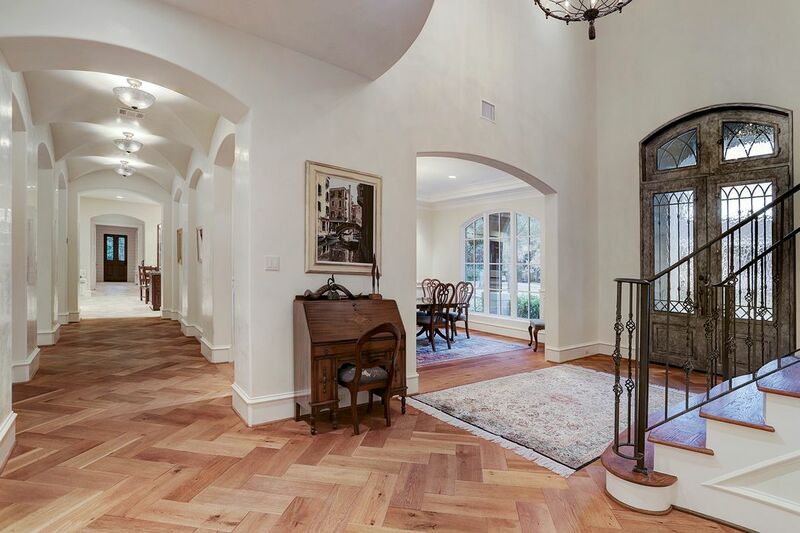 Foyer - custom entry doors, gallery with groin-vaulted ceiling, oiled French Oak floors. 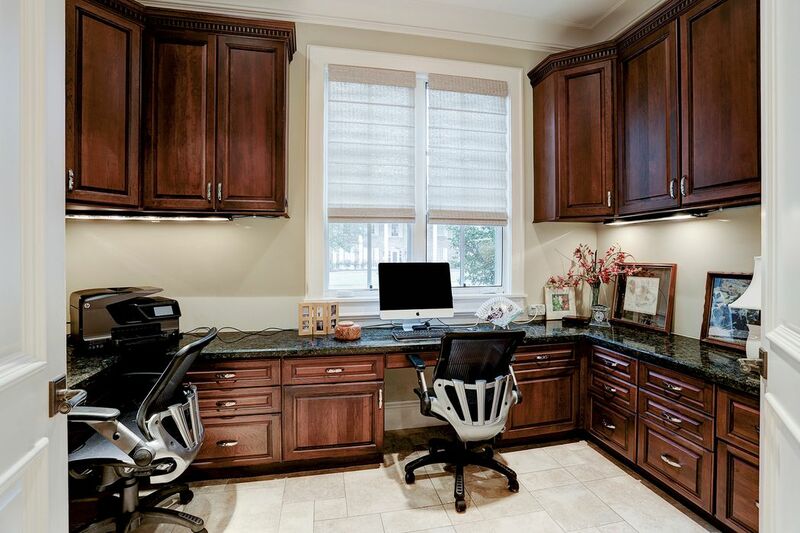 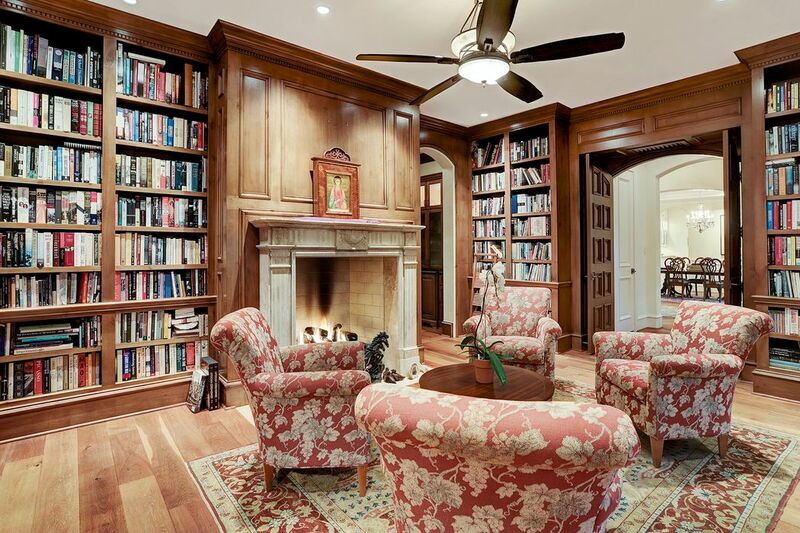 Study - block-paneled walls, bay window, built-in bookcases. 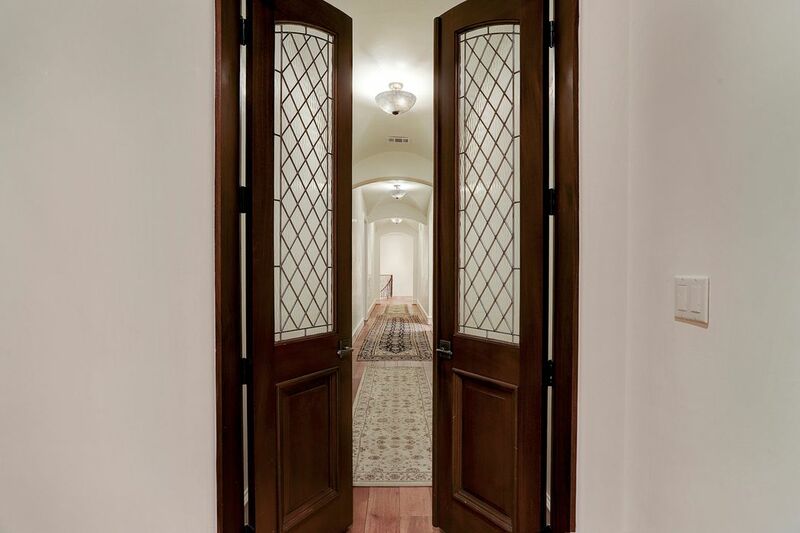 Study - double doors from foyer, masonry fireplace with stone mantel and gas logs, arched doorway to wet bar and wine room. 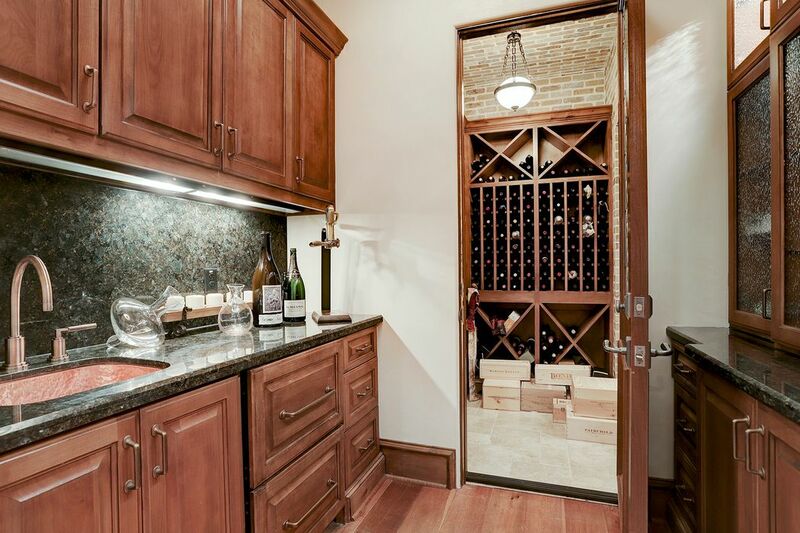 Bar - alder wood cabinetry, granite counter tops and back splash, under-cabinet lighting, hammered copper sink, leaded glass door to temperature/humidity controlled wine room. 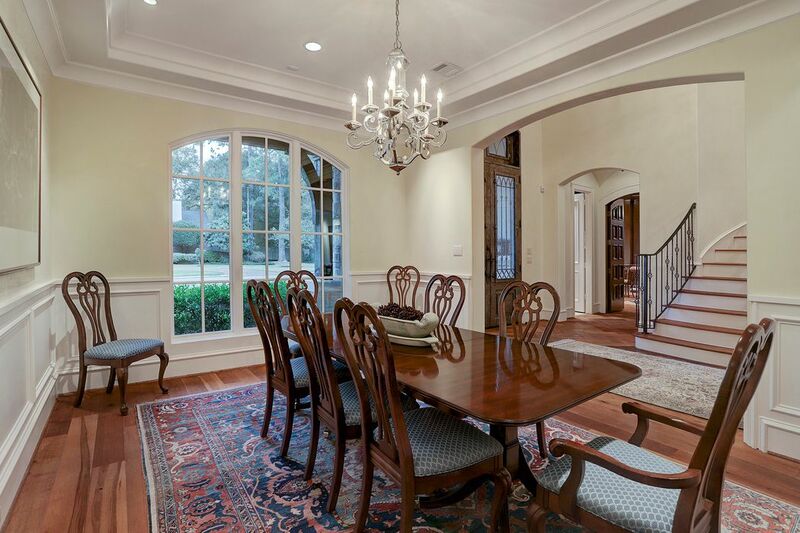 Dining Room - arched doorway from foyer, coffered ceiling, arched triple window, block paneled wainscoting, crown moldings, recessed lighting, chandelier. 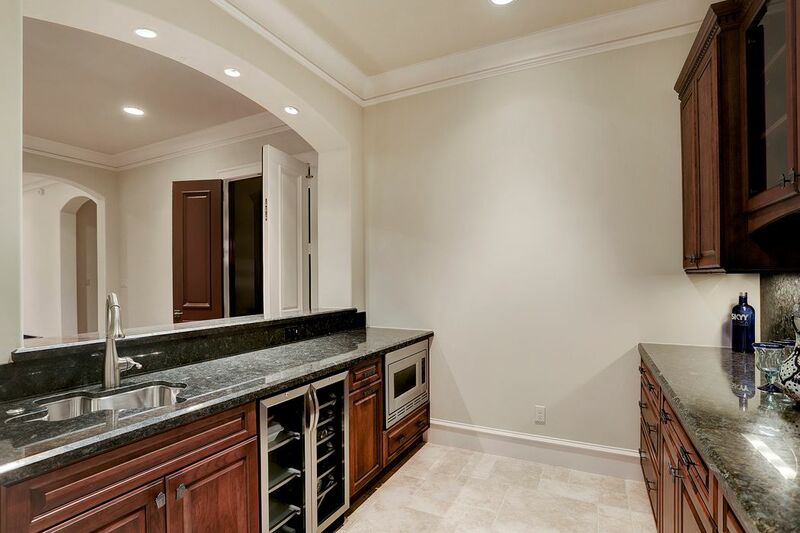 Butler's Pantry - lighted glass-front cabinets, built-in wine storage, Leibher wine cooler, walk-in closet with hanging linen storage. 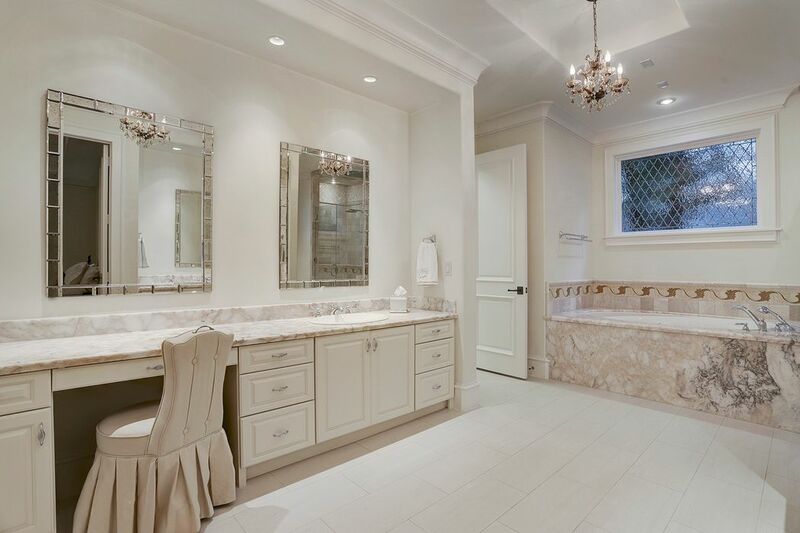 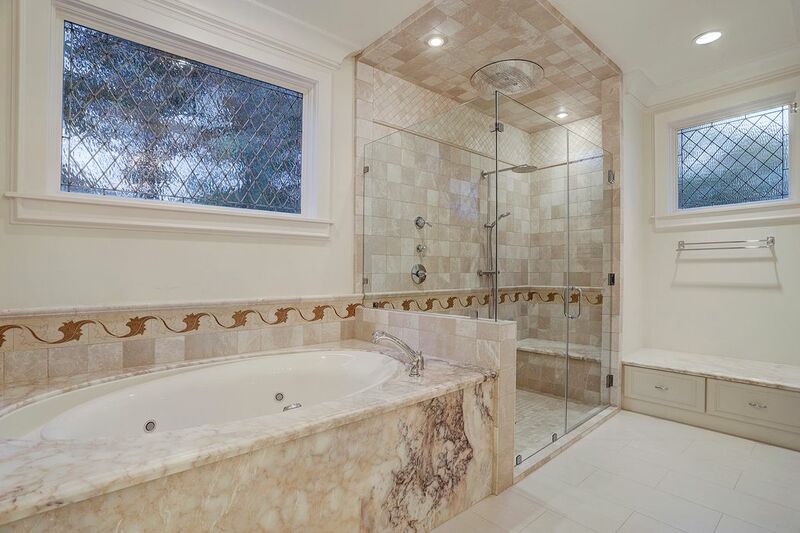 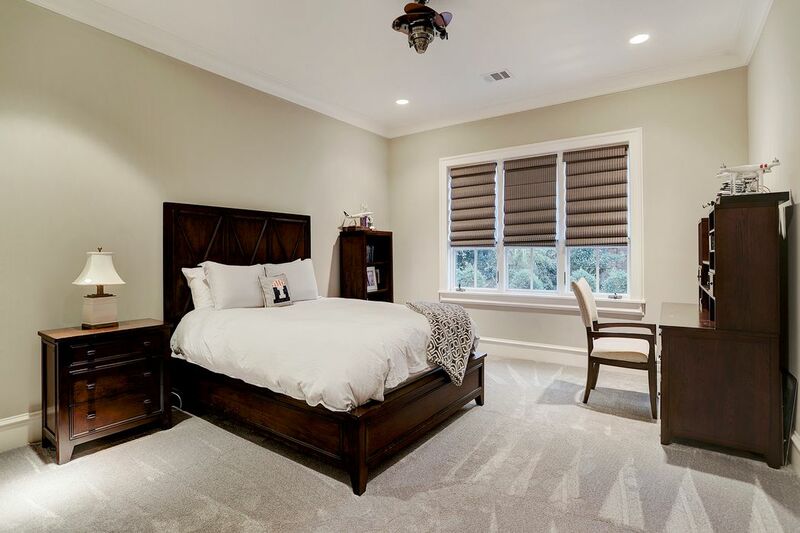 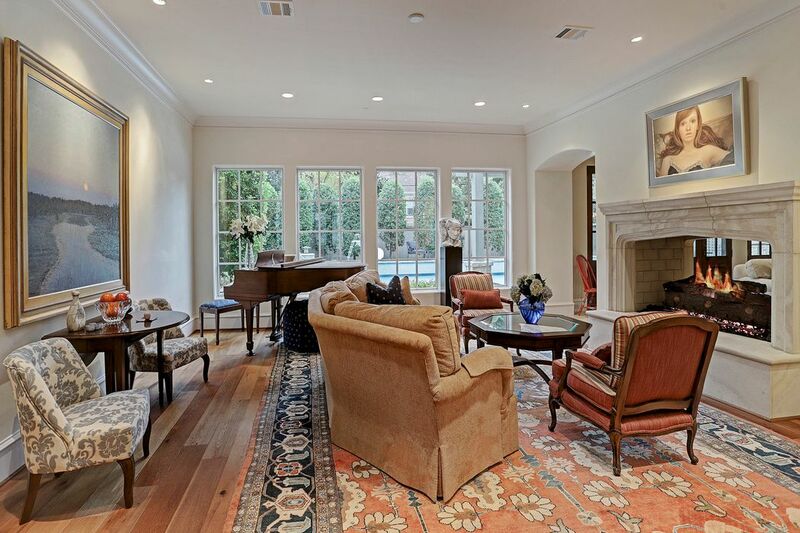 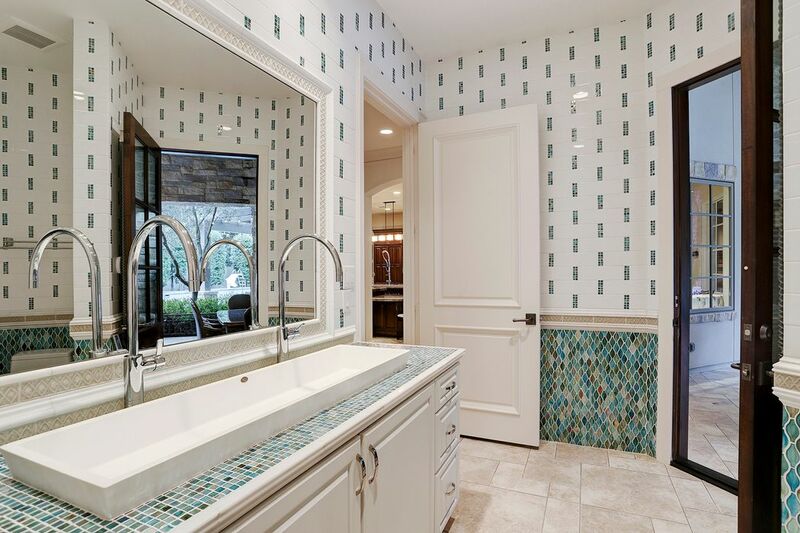 $4,485,000 6 Bedrooms7 Full / 2 Partial Baths11,156 sq. 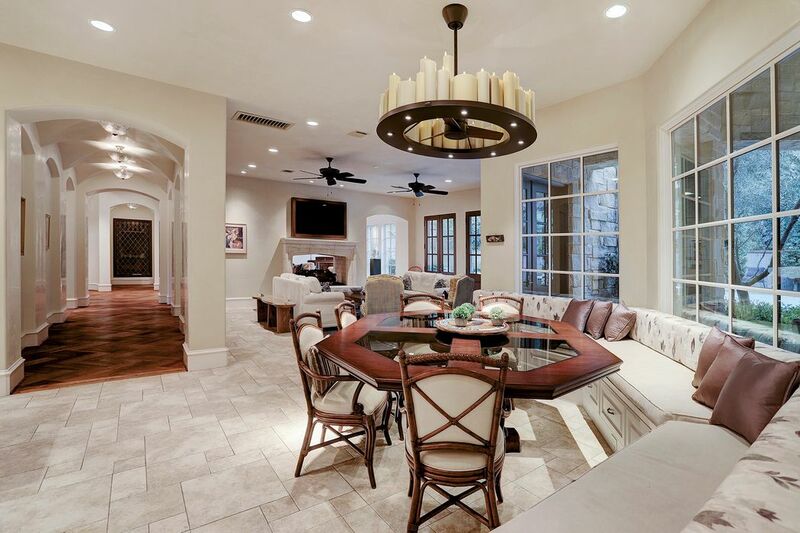 ft.
Superior craftsmanship, and a thoughtful design toward the needs of multi-generational families, combine to create a perfect blend of casual elegance in this comfortable, yet sophisticated residence. 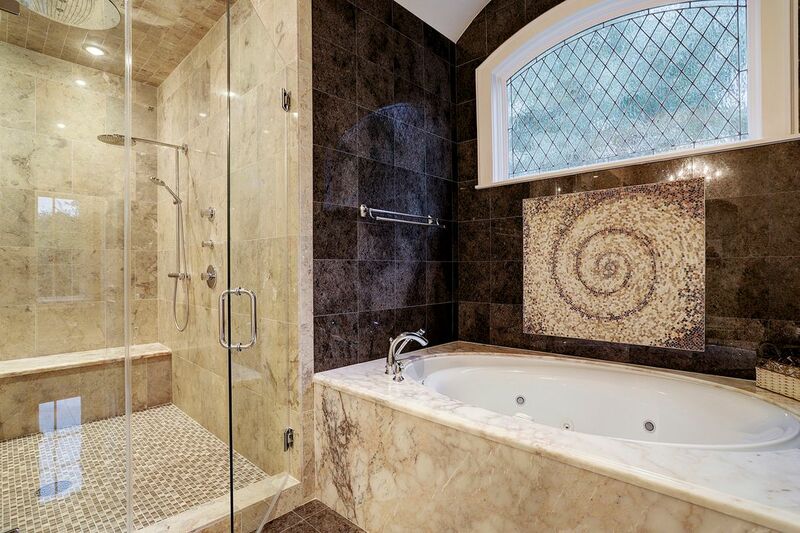 Expert stone masons used time honored traditions to set each exterior stone. 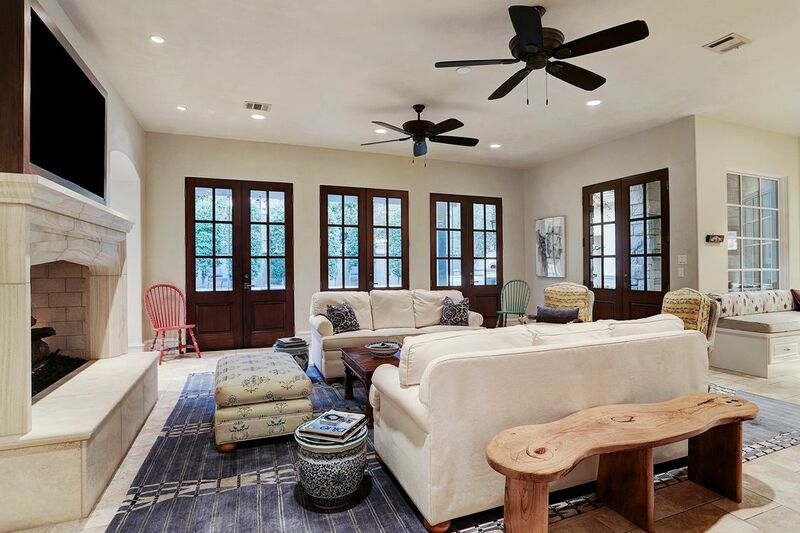 From the oiled French Oak floors to the Venetian plaster walls, the interior finishes were selected to be both beautiful and durable. 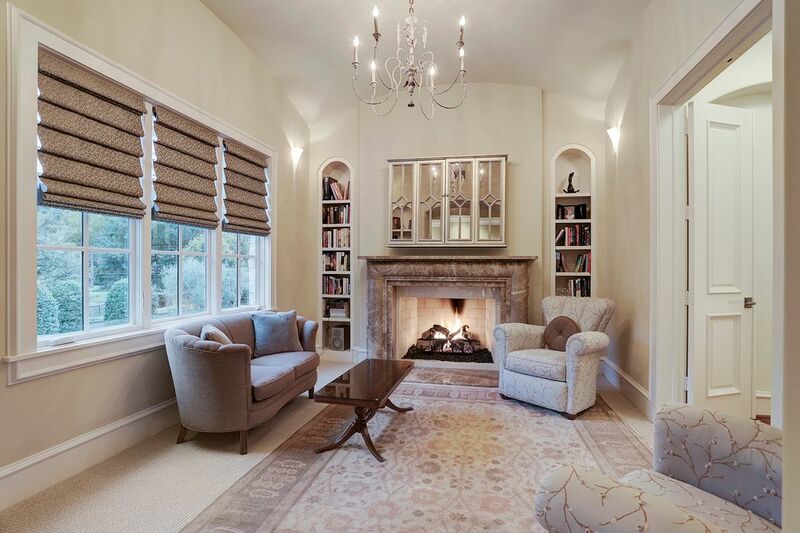 Block paneled walls in the study frame a stone fireplace. 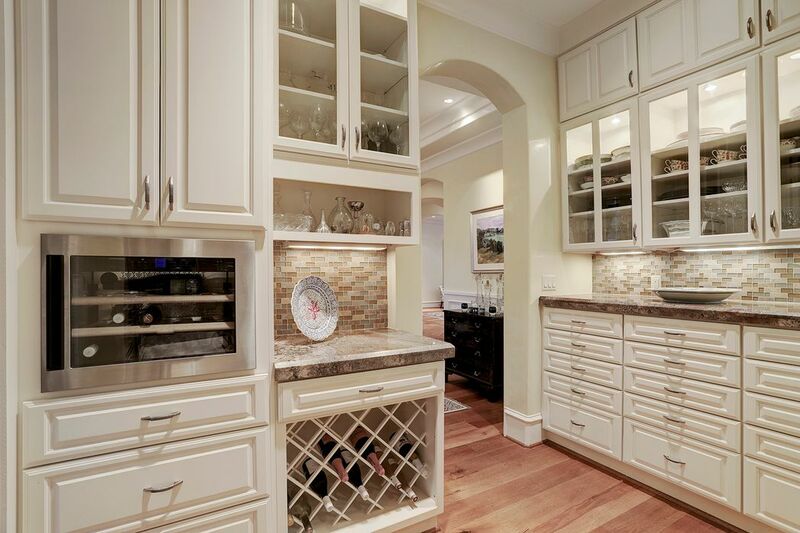 There are floor-to-ceiling built-in bookcases, a bar with a temperature controlled wine room. 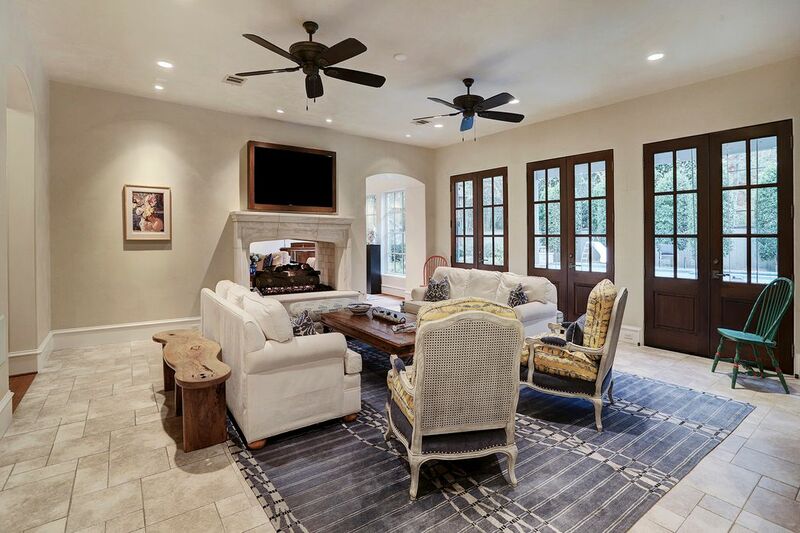 The main dining room has a butler’s pantry with chilled wine storage, and the large living room shares a double-sided stone fireplace with the family room, where four sets of French doors provide access to the pool and veranda. 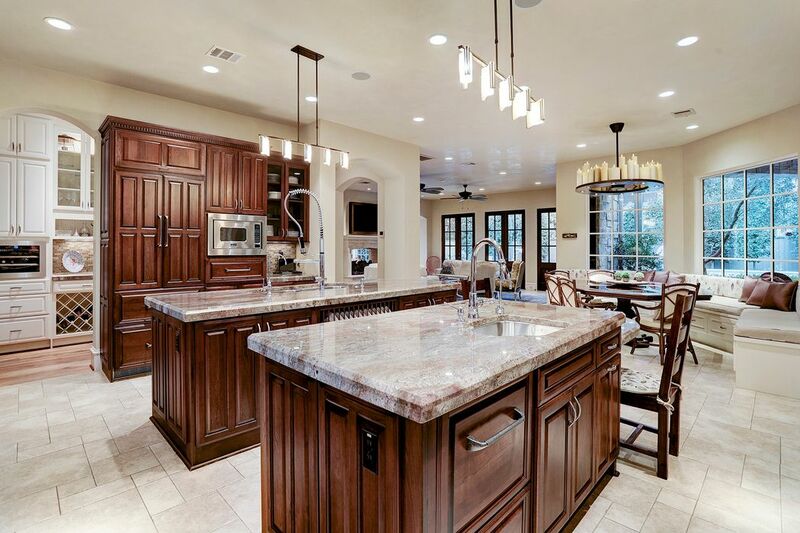 Multiple prep areas in the kitchen allow for a cadre of chefs. 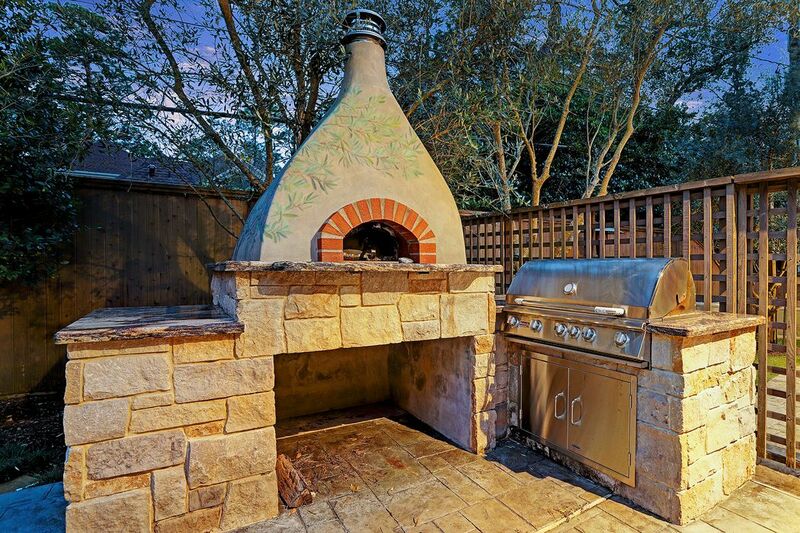 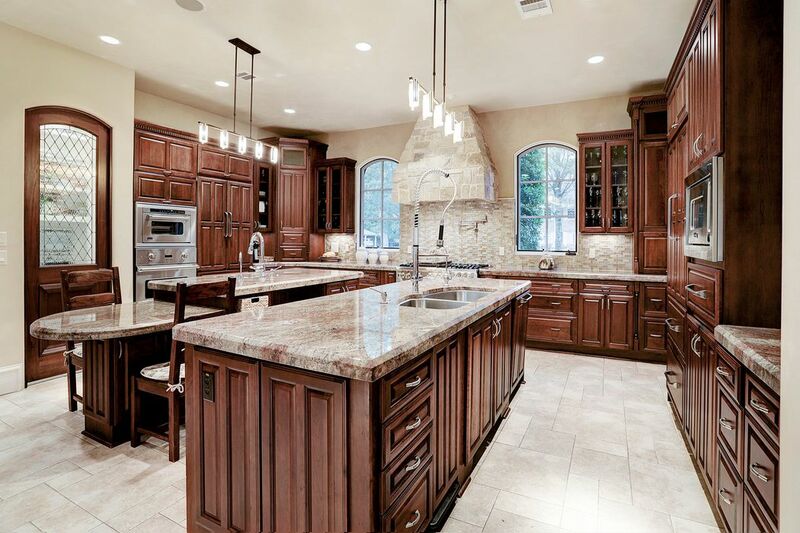 There are double islands, two separate sets of Viking ovens, two built-in Liebhr refrigerators, and two dishwashers. 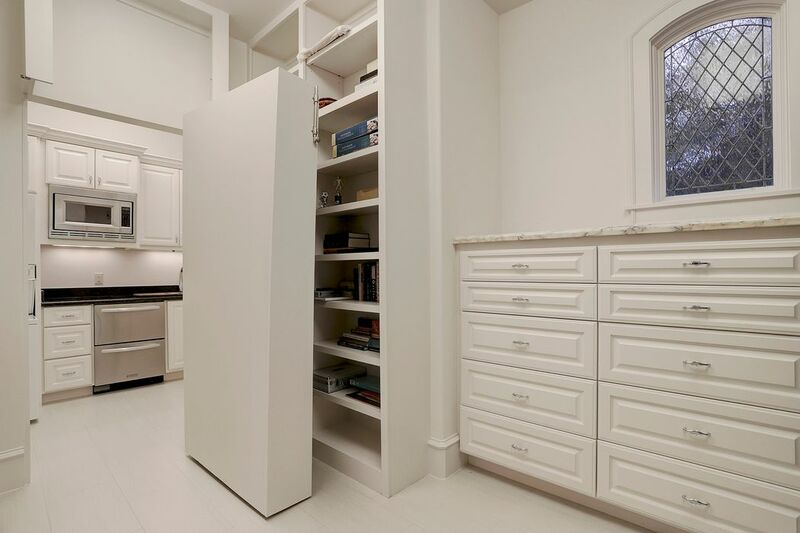 The deep kitchen drawers are soft-closing, the cabinets have pull-out shelves, and there is a large walk-in pantry. 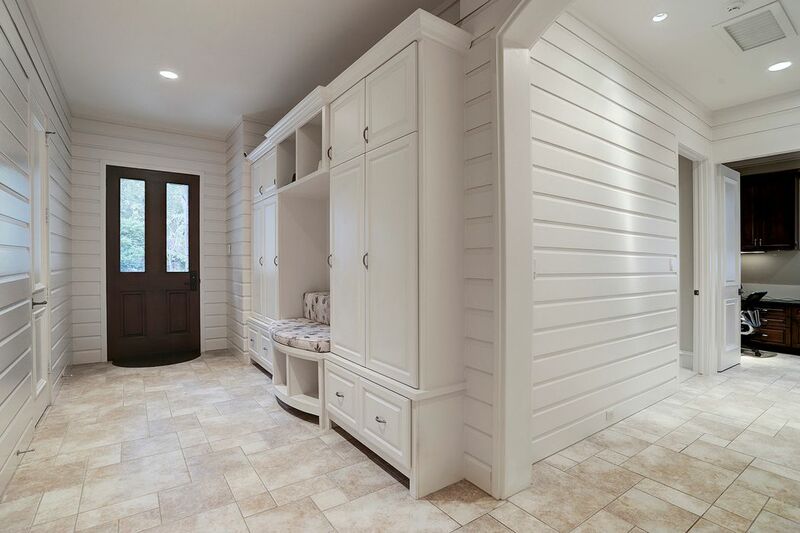 Upstairs, there is a vestibule to the master bedroom, with a study with a stone fireplace. 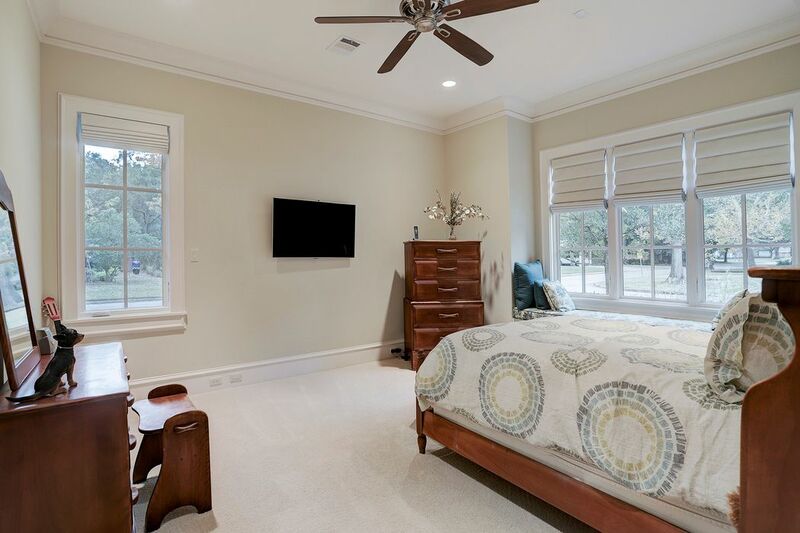 The master bedroom has a groin-vaulted ceiling and French doors to a balcony. 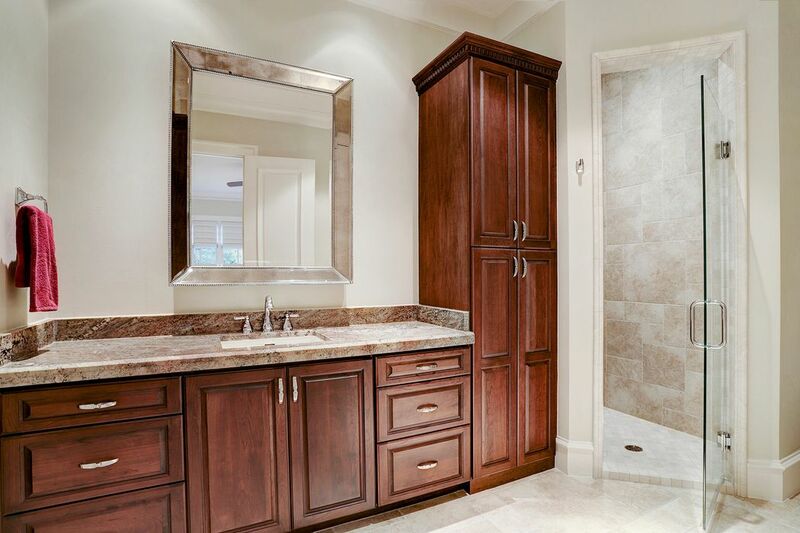 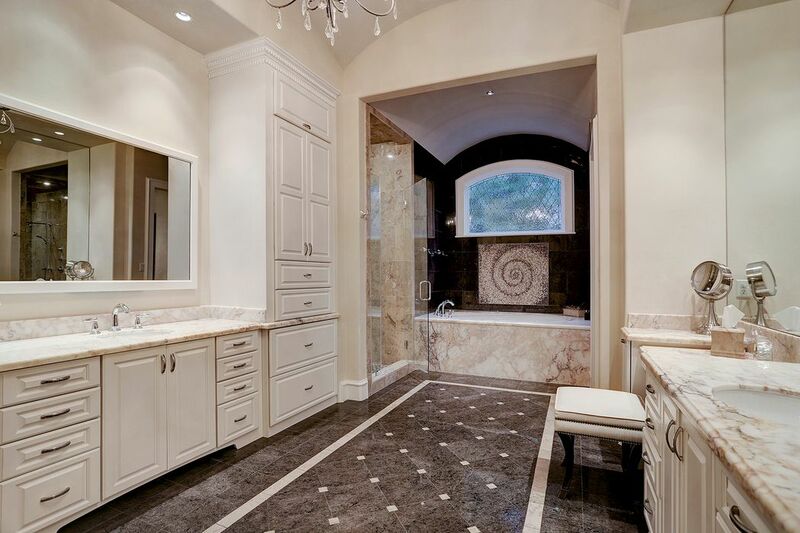 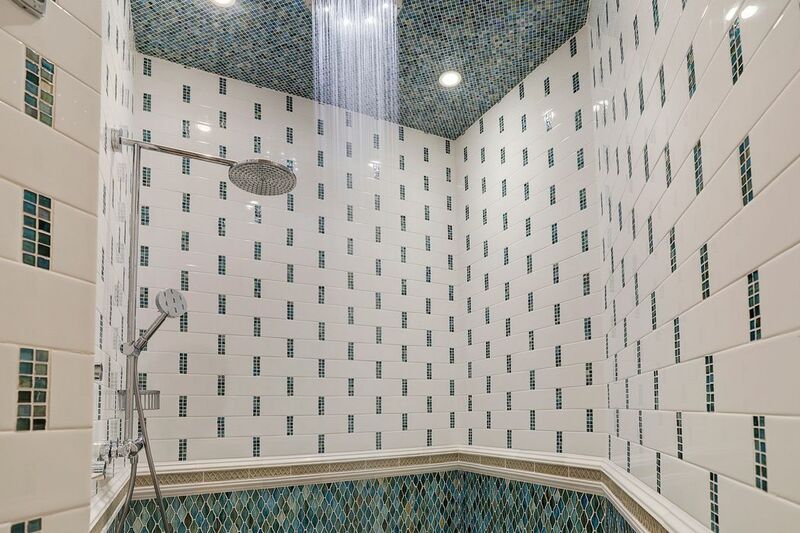 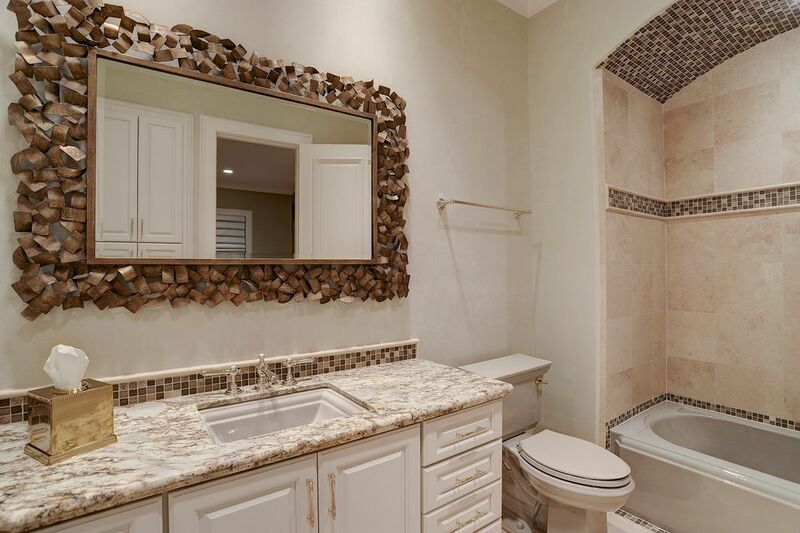 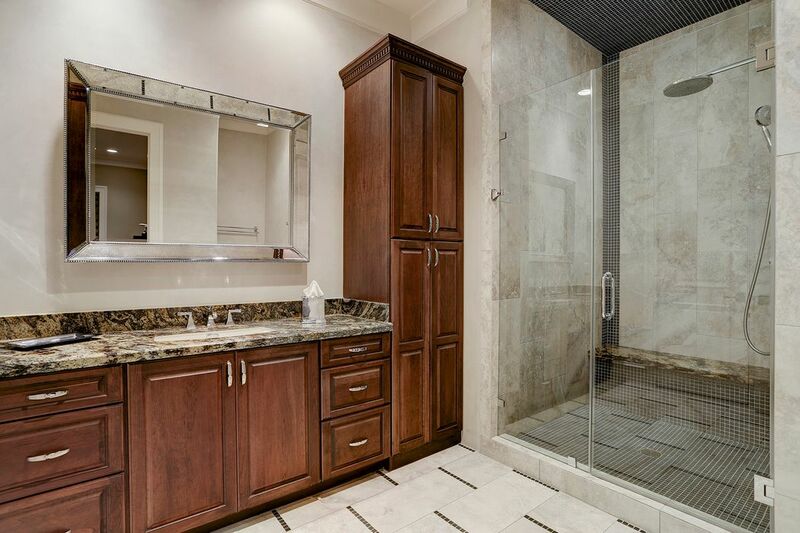 In the master bath, there are two separate vanities with sinks, two separate water closets, a double sided shower with two frameless glass doors, two separate walk-in closets, plus an exercise room. 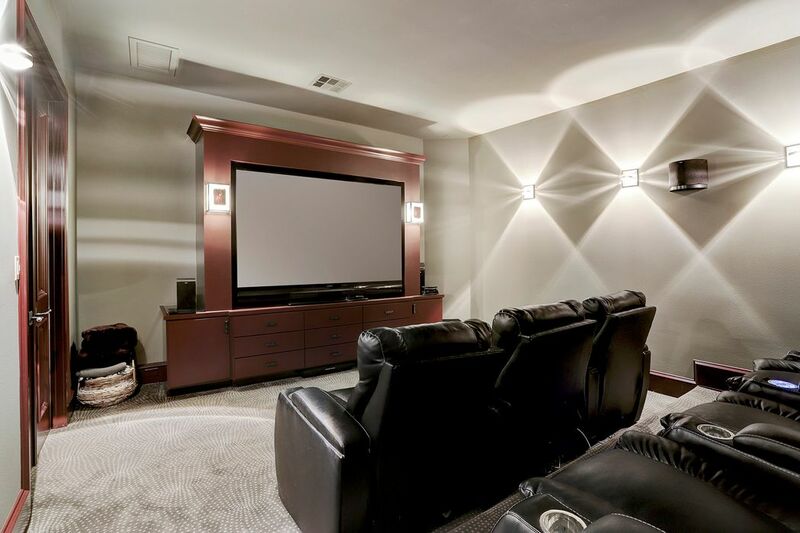 The second floor media room has comfortable theater style seating. 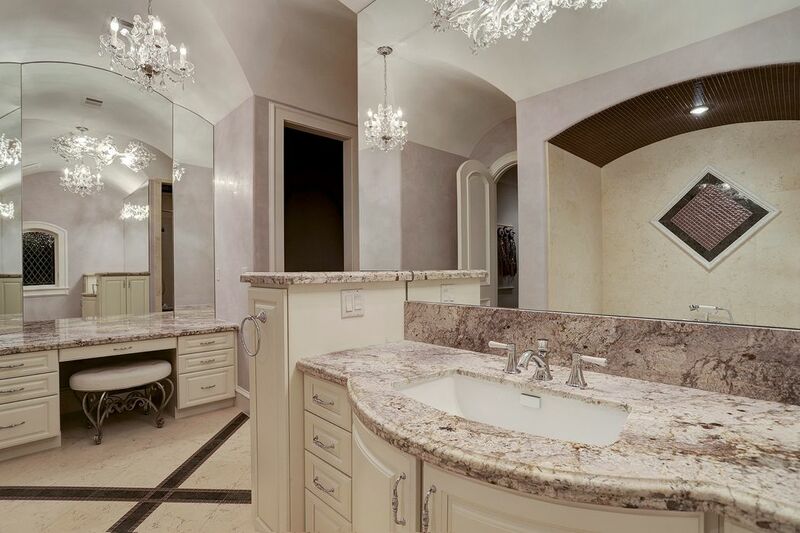 The adjoining game room has multiple game spaces, and there is a popcorn bar with a Texas shaped sink, plus a half bath. 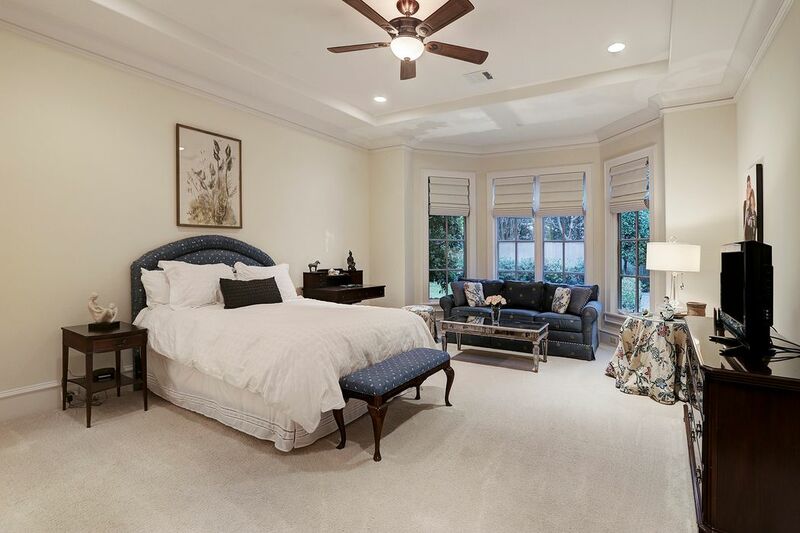 Three secondary bedrooms complete the upstairs level. 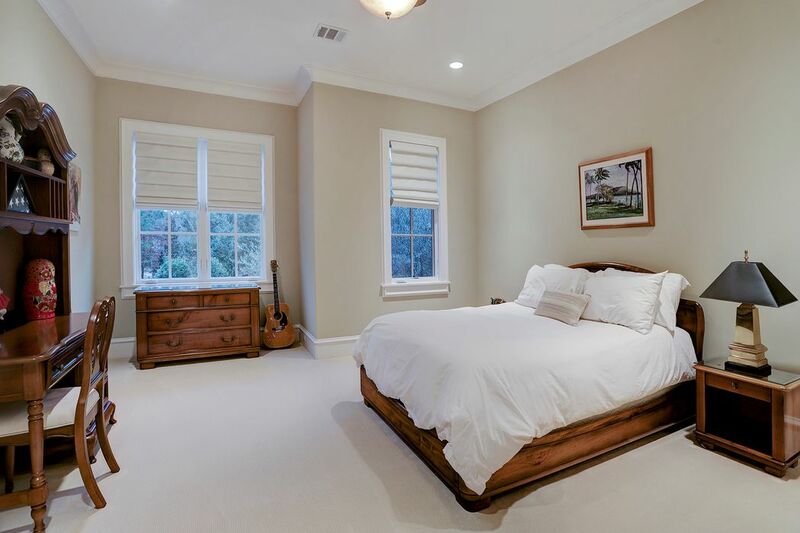 The downstairs secondary master bedroom was designed for full-time living. 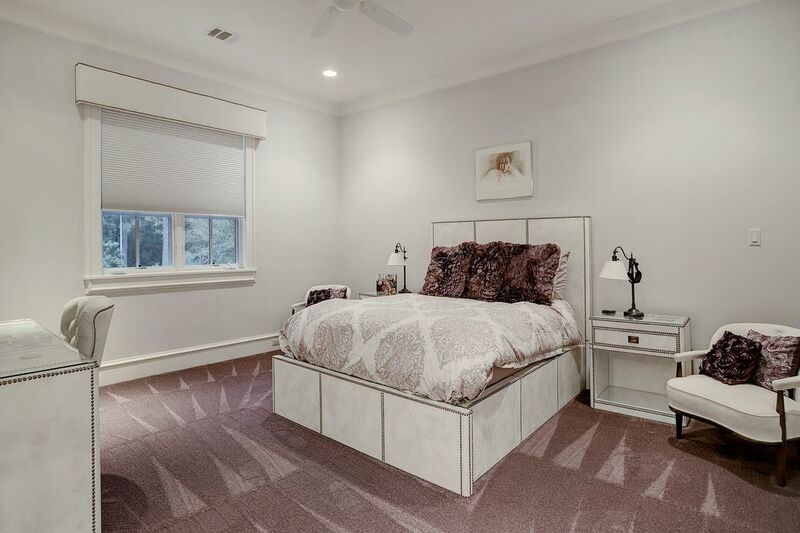 There is a 6th bedroom downstairs next to the home office. 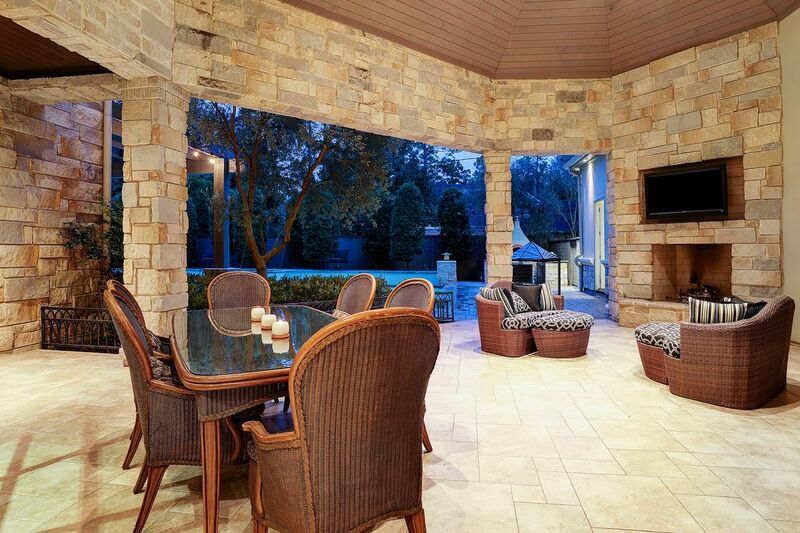 Outdoor living areas surround the pool and spa, and there is a mosquito misting system. 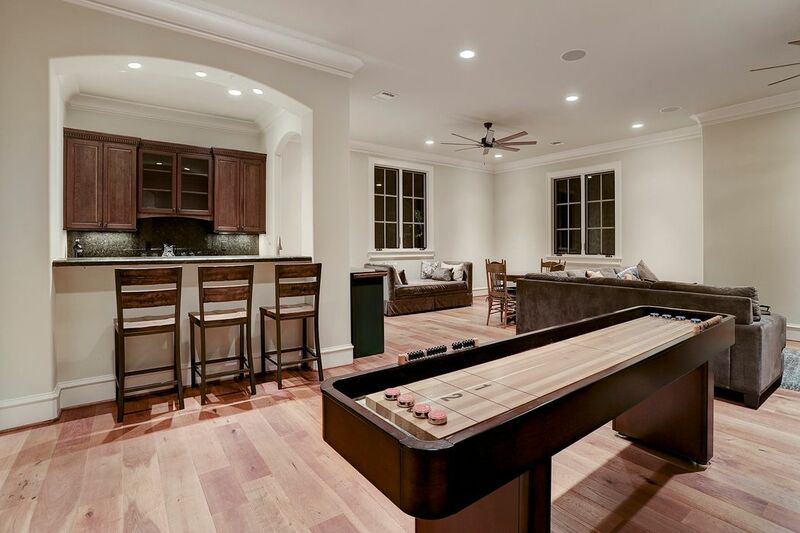 Other amenities include home automation by Savant and a 100 amp generator.